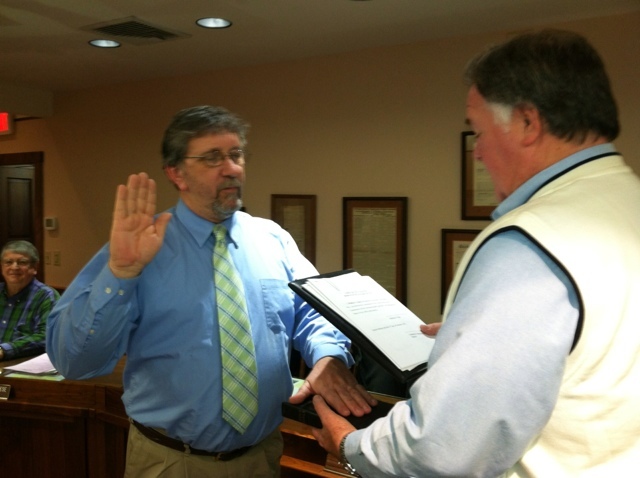 Councilman Phil Clark takes the oath of office. 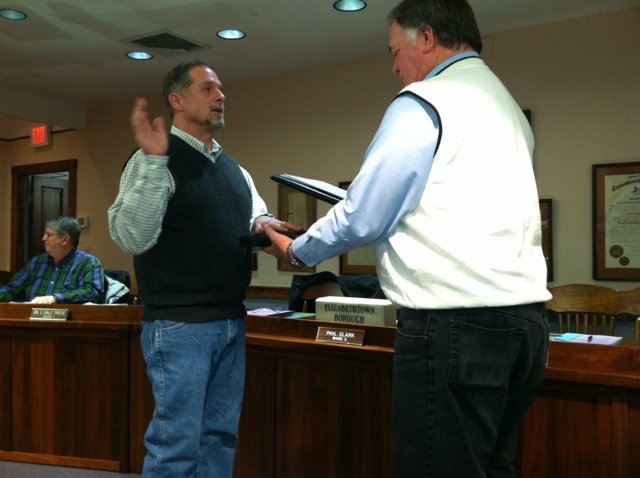 Mayor Chuck Mummert swears in Jeff McCloud. Tom Shaud is sworn into his second term. 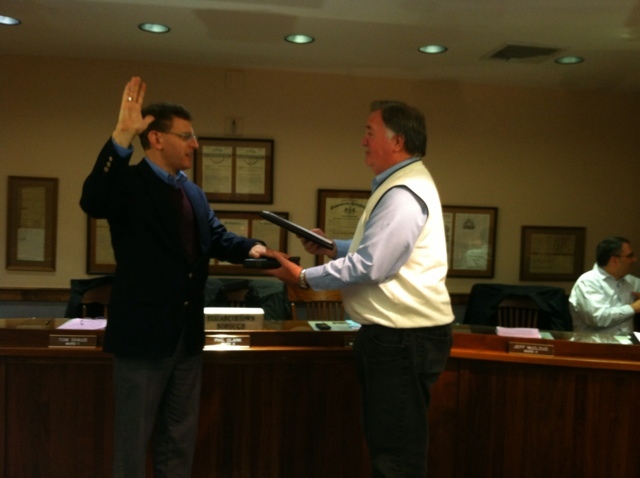 Elizabethtown Borough Council elected Councilman J. Neil Ketchum as its president for the next two years at council's reorganization meeting last night. Ketchum, a native of Elizabethtown, just started the third year of his first term in office. Former Council President Phil Clark was elected vice president. State law requires that municipalities reorganize every two years. The reorganization is to be held the first Monday in January. Because this past Monday was recognized as the New Year's Day holiday, reorganization meetings were held Tuesday. The Pennsylvania State Association of Boroughs has some good background information on the reorganization meeting. At Elizabethtown's meeting, Clark and two of his fellow councilmen, Tom Shaud and I, were sworn into office for our second terms. As one member of council, I can say it's been a privilege and an honor to serve the community, and I look forward to another productive and fruitful four years helping to move Elizabethtown forward. Thank you for your continued community service.